Tiny House.Would You Do It? GoshAbout.com – GOSH!About: Fashion. Art. Music. Events. TV. Non Profits 'N' Lifestyle > Subscribe now! Written by: Najaam P. Lee, editor in chief. Don’t get me wrong, I love nature, I love the outdoors… look I can spend my time in the peace that it offers, it would be great for my meditation and my Tempal. Buuuut, I have to tell you, I love my space. As a matter of fact I need space because I get claustrophobic and my anxiety kicks up to 10 in cramp, tight spaces. Hey! It’s come across my mind a few times to move into a tiny house, until I saw one. And it took me back to the Prairies when I was a kid in Canada. Many designs of tiny homes are amazing and creative. I think if you are single or a couple, it can work very well. But, when you have children, that’s a whole different mix, in my opinion. I think its cute and fun being together as a unit, but I truly believe for development and peace of mind, children need space to explore individually and grow in. And not be in the same space with parents 24/7. What do you think? 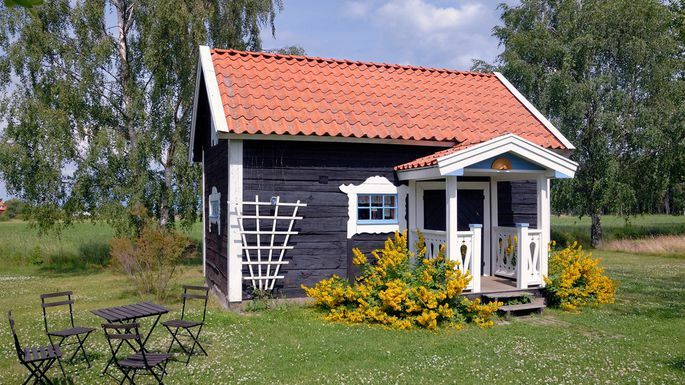 I think about the weather with these tiny houses, especially here in America, where we experience terrible storms, such as hurricane, tornadoes, heavy rains, flooding, earthquakes. Because with a tiny house, you have to thinking about the weight of the structure, and height against the types of materials to use and what it can truly handle so that its not whisked away by the wind, so to speak. Another thing is how quickly it can get dirty just as fast as you can clean it. In a tiny space, that is a constant battle. Plus, learning to keep your clothes, or necessities at a minimum in order to not feel overcrowded by stuff! Overall, tiny homes are great in many ways, cool designs, unique structures, and in the right locations, but I don’t think its for everyone, and I don’t think it fits every location. I think if you are looking for a change, really check out the positive, pluses, and the negatives, not just the hype! Let us know in the comments if you would live in a tiny house? or do you currently live in tiny house, and what is your experience? Kindly share. Life Is But A Dream… IS IT? What Do You Want To Say About The Post? You are following this blog, along with 3,877 other amazing people (manage).